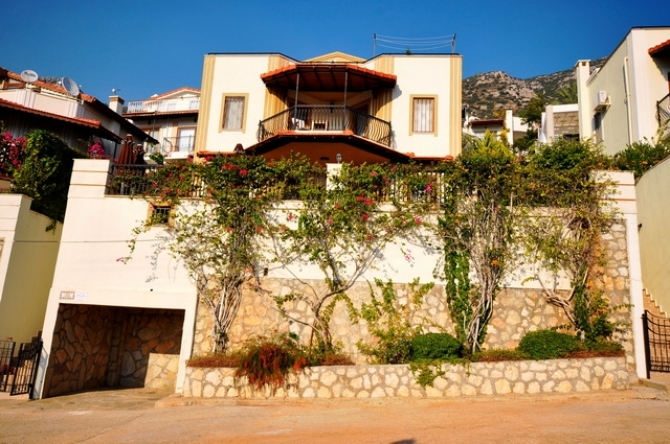 This is an incredible opportunity to purchase a family home with stunning views over the town of Kalkan. 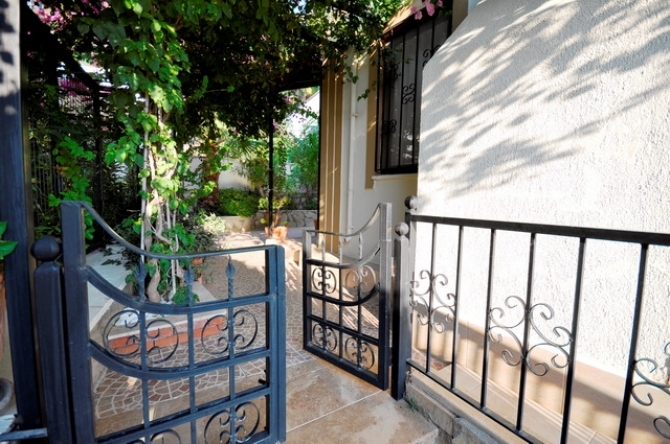 This beautifully kept villa can be found in a peaceful area of Kalkan, having two spacious double bedrooms and amazing unobstructed views from all floors. 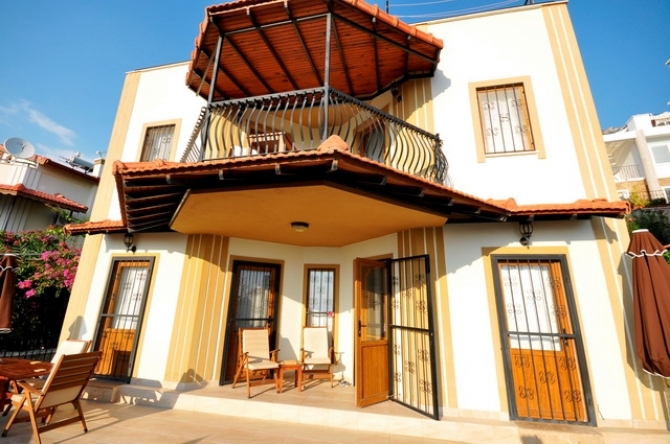 This beautiful villa has been built over 3 floors, with an open plan fully equipped kitchen and dining area, and lounge with a feature fireplace. The lounge is bright and airy, from the kitchen there is access to the pool and main shaded terrace with a relaxing area also. There is a cloakroom at the entrance of the property. The staircase leads you to the first floor where you will find 2 double/twin bedrooms each having their own private bathroom fitted with showers and access to the large shared balcony with amazing sea views and overlooking the swimming pool and gardens. There is ample space to make a third bedroom on the loft. 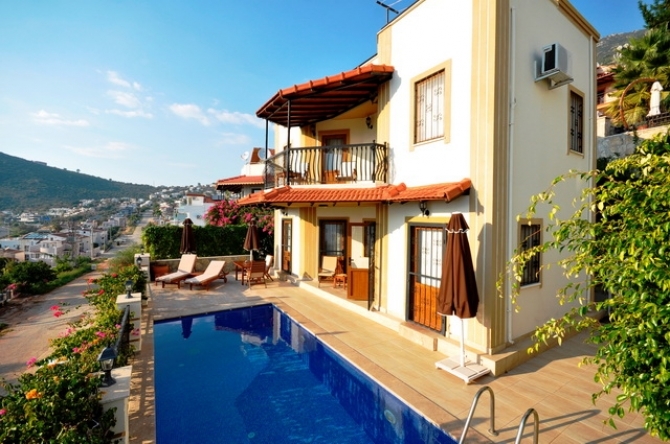 The swimming pool has a large sunbathing area as well as sea and Kalkan Town views. 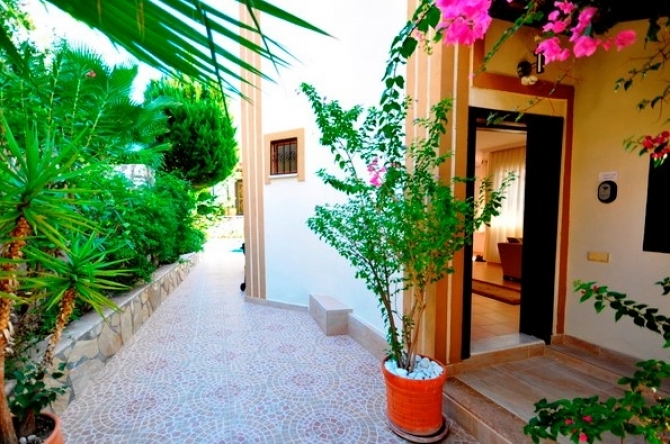 There is also an enclosed indoor parking area and the garden has been planned with a Mediterranean feel, easy maintainable tiled floors with lots of plants and shrubs. 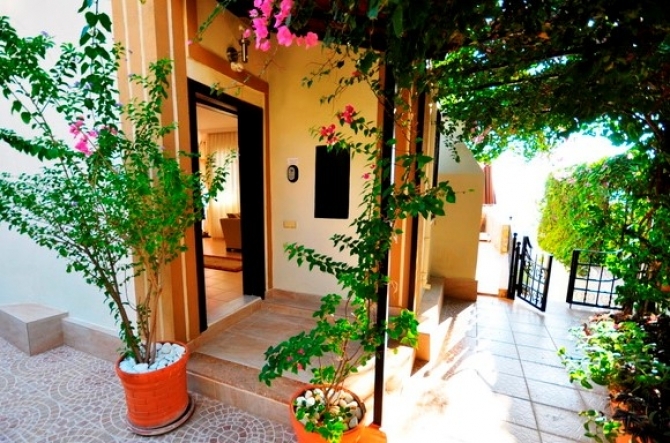 This property is spacious and bright; being sold fully furnished and is a popular location of Kalkan.